For coffee aficionados, there are few things in life better than a hot cup of freshly brewed coffee. 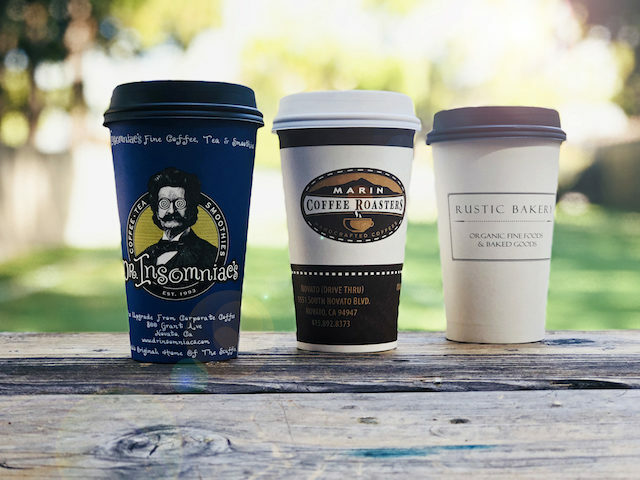 Whether you prefer yours black, with cream and sugar, cappuccino-style or with your own, highly-customized latte order, Novato has plenty of options when it comes to a well-brewed caffeine fix. On National Coffee Day, we’ve teamed up with #NovatoProud to celebrate the mighty coffee bean and share some local pride. Visit any one of these Novato coffee shops this Saturday and have your coffee served in a limited edition #NovatoProud coffee sleeve (while supplies last). Dr. Insomniac’s is a distinctive fixture of Downtown Novato. As a locally-owned and operated business, the small town attention you receive when visiting Dr. I’s is unparalleled. The best coffee pairing at Dr. Insomniac’s? Order yours with a scuffin, their unique spin on baked goods, that’s a little bit scone and a little bit muffin. Available in a variety of flavors, scuffins help take Dr. Insomniac’s to the top of our list. With two convenient Novato locations, Marin Coffee Roasters is our choice for a perfect cup of coffee on the run. Serving their own line of delicious coffee, Marin Coffee Roasters offers a variety of roasts and blends, along with seasonal specialty drinks. As we move into Fall, Marin Coffee Roasters is the perfect place to take your pumpkin spiced latte cravings. Flour Chylde on Grant Ave specializes in delicious gluten free goodies and coffee drinks. With an ever-rotating selection of cupcakes, brownies, pastries and cakes, Flour Chylde has perfected the art of gluten free treats. Pair them with a steaming latte or mocha from their espresso counter and you’re all set for a Downtown shopping day. Rustic Bakery is another Grant Ave favorite, and perfect for a cozy cup of joe on cool day or mid-morning pastry and cappuccino. Their mouthwatering selection of fresh-baked goodies include scones, cinnamon rolls, croissants, all of which pair perfectly with an impressive coffee menu. If you like to balance your coffee with award-winning baked goods, the Rustic Cafe is well worth a visit. Donut Works is the place to go when you’re craving that classic coffee and donut combo. A proper, old school donut shop, Donut Works is friendly, welcoming and unpretentious, with a superb selection of donuts and one of the best apple fritters in Marin County. But don’t just take our word for it, go get your own. Stop by any of these Novato coffee shops this Saturday, September 29th to celebrate National Coffee Day and share some local Novato pride. Once you’ve secured your #NovatoProud coffee sleeve, don’t forget to post a picture and tag @ShopLocalNovato at your favorite Novato coffee shop!